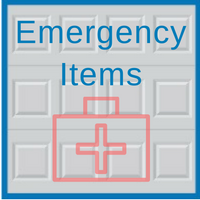 There are certain items that are essential to store in your garage and car at all times in case of an emergency. You never know what kind of obstacles you may face while living and traveling in Illinois, especially with cold weather approaching. It is important to take precautionary measures by stocking your garage and car with these safety materials so that you are ready for whatever comes your way. Canned food and water bottles - The weather in Illinois can become cold enough that you may not even be able to leave your house. Keep canned food stored in your garage because it has an expiration date far into the future so that you are able to save it for a long time and prepare it when are you unable to travel because of inclement weather. Flashlights - These are necessary in case the power goes out or if you need extra light to look for something in the dark. First aid kit - This is important to keep with you in your car and garage for any medical emergency. Snow and ice removal items - As stated before, the weather in Illinois can get below zero, so keeping snow and ice removal items in your garage will make it easier to eliminate the damage caused by cold weather. Jumper cables - These are always important to keep in your car just in case you need to assist someone or someone can help you jumpstart your car. USB mobile device charger - Nowadays, we use our phones for everything, including our GPS system that navigates us from point a to point b so it would be beneficial to keep an extra USB cord to charge your phone while driving. If you need assistance in building a custom garage that will provide the storage space needed to keep all of your essential emergency items, consult the team at Blue Sky Builders. We are experts here to help with any garage-related project. 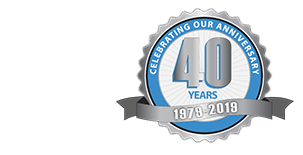 Call 630-852-8485 or contact Blue Sky Builders online to chat with us about your next garage needs today.